Pamper yourself with a hair and beauty treatment at the College's Hair & Beauty salons! Pamper yourself with a hair and beauty treatment at the College’s Hair & Beauty salons! The Hair & Beauty Zone (Bridgwater campus), and The Hair & Beauty Agency (Taunton campus) has salons which are open to the public for a variety of treatments, including haircuts, barbering, colouring and perming, facials, manicures, pedicures, eyebrow shaping and eyelash tinting, waxing, massage and electrical body-toning treatments. All treatments are performed to a high standard by trainees, under the supervision of experienced, qualified staff. The salons are located at the College’s Bridgwater campus on Bath Road, and Taunton campus on Wellington Road. The Hair Salons run clinics on selected days, please call for more details on 01278 441310 (Bridgwater) or 01823 366485 (Taunton). Please note that salon times vary daily, depending on the time of year and course modules. Check this page regularly or see our Facebook page for up-to-date salon information. To make an appointment at Bridgwater campus, call 01278 441310 or email us. To make an appointment at Taunton campus, call 01823 366485 or email us. 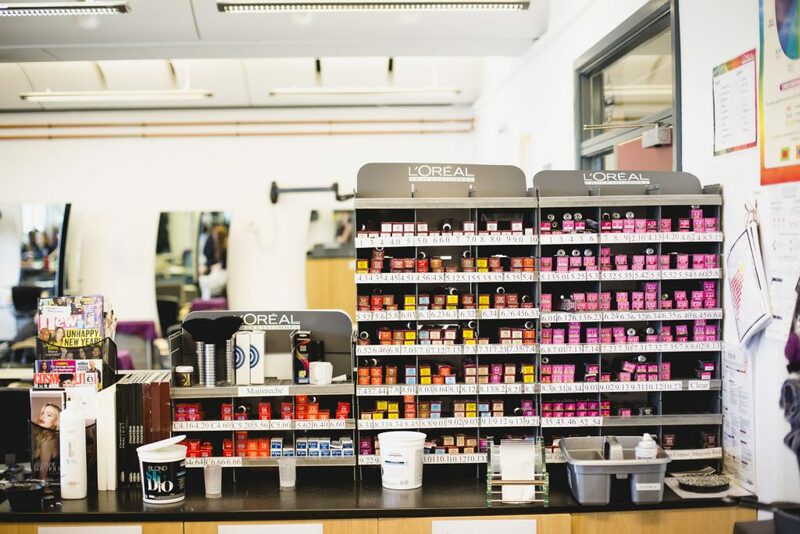 The beauty salons at both campuses are open, and are now offering clinics. Gel nail extensions clinic 6pm on Thursday evenings until the end of year. To book an appointment, please call 01823 366485. Models are required for colouring, perming, cutting and styling. Some clinics may be cancelled due to parents’/open evenings, so please check with the salon before booking. Keep up to date with all the latest on our Facebook and Instagram pages!